The Book Garden: Have you instagramed your tweet on Facebook today? Have you instagramed your tweet on Facebook today? Some days I wonder when they'll finally say, "Social Media is dead!". So far, it's not just alive and kicking, it multiplies like bunnies too. Of course I've always been at least two steps behind when it comes to following the latest trend on the web. Case in point - I only ever signed up on Twitter two months ago and I'm neither sure what even led to this impromptu decision nor where the tweeting road will take me. So far, fourteen tweets. Some folks tweet more often in a single day. Of course, Twitter is old news and almost as ubiquitous as smartphones these days. And that leads me straight to what appears to be the latest rage, namely Instagram. As much as I love photography - and let's neglect for a moment that I tend not to share private photos all over the internet, plus I'm lacking the most important tool of the trade, a smartphone - I'm seriously starting to wonder when the growth spurt of Social Media will find an end. Why not just turn my back on it and call it a day then? Because. Because being a blogger often translates into a widespread online presence that reaches out into the realms of Facebook & Co. and like the universe it just keeps on expanding. The credo being, promote promote promote your site. Not saying that every blogger feels the need to go overboard here, but some can be found on pretty much every available Social Media outlet, almost as if it weren't enough to keep it simple and just putter about on your blog without much additional ado. A blog post a day? Sorry, that just won't cut it. I wonder why the need ever arose to throw in a rosary of daily tweets, pins and shares, plus a vlog every other day as well. To me it just seems too much. Communicating with your blog readers is certainly important, and contrary to what you might believe, I'm not a total opponent to having more than one online presence. Yet spending the better half of your days roaming around on half a dozen different websites feeding the internet with pictures, thoughts and whatnot's, seems a little bizarre verging on tiresome. However, just because I don't get this phenomenon, doesn't mean it won't feel both beneficial and entertaining for somebody else. It hopefully does, because otherwise why engage in it? Either way, let's not be coy. You may find my blog on Facebook too, mostly as a way to allow people to follow my blog posts. Actual status updates? Every once in a blue moon. It doesn't look much better on my Pinterest page, which I rarely shower with stuff happening blog or otherwise. And as far as Twitter is concerned, well, let's not even go there. Google+? Dead as a door-nail. In all honesty, the only reason I haven't deleted my Google+ profile is the fear that I might actually delete my whole Google account and then I'd be seriously screwed aka my blog would be history. Overall it's safe to say, I'm stranded on the spartan side of Social Media, and frankly, that's perfectly all right with me. 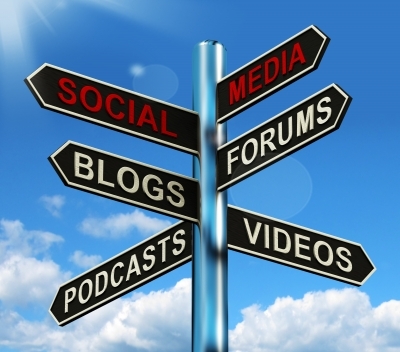 What's your take on bloggers using Social Media? Is it a must in today's blogosphere or do you find it largely superfluous and even redundant like I do? Please share. *The blog post title doesn't make any sense? It was never supposed to.